A crowdfunded project which aims to prosecute "dishonest Brexit politicians" has earned nearly ££145,270 of its £100,000 goal. 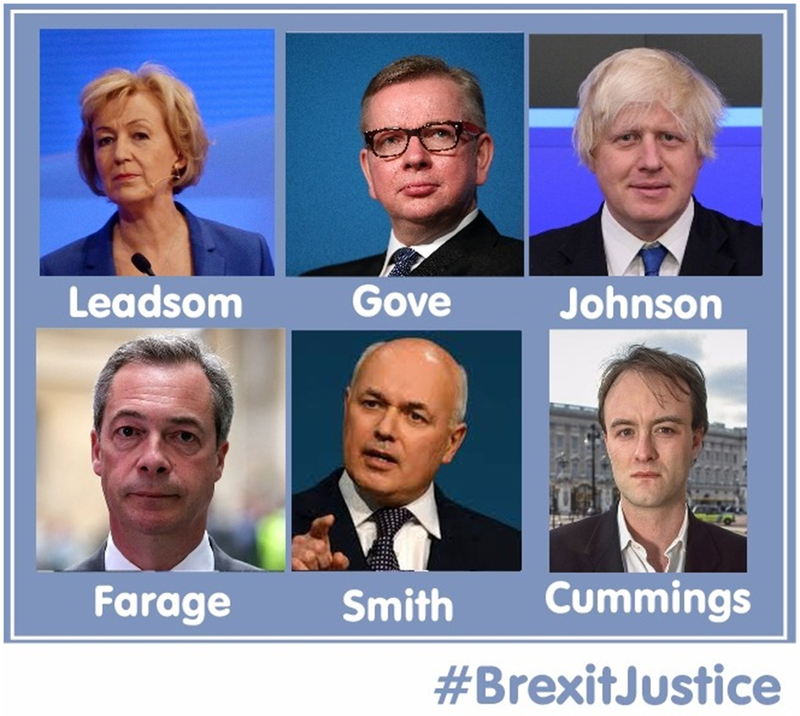 The crowdfunded project #BrexitJustice aims to prosecute Brexit politicians including Boris Johnson, Nigel Farage and Michael Gove for misconduct in public office, undue influence, incitement of racial hatred and fraud. The campaign also aims to "Fund a judicial review and other legal action to prevent Brexit" and hopes to "prevent Scotland from leaving the UK". The crowdfunder says they would like to prosecute senior Brexit politicians on the grounds of misconduct in public office, which they point out "carries a maximum sentence of life imprisonment". They also wish to investigate claims of fraud by false representation. The campaign, who say they have already spoken to several top lawyers, who support the campaign, focus on the tour bus as part of their fraud claim. The crowdfunder claims that the EU referendum result shouldn't be accepted by the government because it was "built on ignorance and emotion, not evidence". "If press reports are accurate then racially motivated attacks have spiked as a result of the referendum and political leaders may have contributed to this rise," BrexitJustice say. "If we can find a case to prosecute on this basis then we will do so with great enthusiasm. The matter will be looked into once we have the legal team fully engaged." They say they will prosecute on the grounds of the Racial hatred 1.41 under the public order act 1986, which states that "it is an offence to publish or distribute threatening, abusive or insulting material that is intended to stir up racial hatred or which is likely to stir up racial hatred." A tweet sent out by Brexit Justice, linking Brexit voters to Hitler voters. Not the most endearing of tweets. Sir Alan Sugar tweeted support to the campaign. #BrexitJustice are looking to raise £100,000 for their campaign, which they will then use for legal fees as they aim to get the Brexit vote challenged in court, and prosecute leading Brexit politicians. "We can regain our place as the 5th strongest economy in the world. We can prevent Scotland from leaving the UK. We can prevent great damage from befalling the EU. 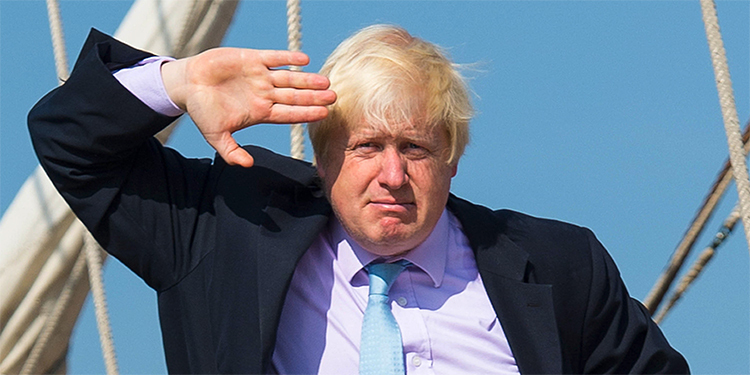 We can restore the reputation of the UK around the world." They also hope that a successful prosecution of politicians who lie to the people would make politicians think twice before lying to the public. "Imagine a world in which politicians are too scared to lie to their people," their founder Michael J. Ball said. "A world in which our elected leaders are brave, decent, honest people that we can trust. I want to live in that world, I think it would be a much better place to be. I think it would attract a better kind of person into politics and be far better for our nation and for other nations around the world." "At present this world does not exist and it's our fault. Our politicians do not fear lying to us because we have not made enough effort to bring justice to them for doing so. With #BrexitJustice we're going to try and make this happen"
If you're interested, you can donate to the campaign here.